The Broesler School 2015 Champions: Owen Luebbers, Ian Luebbers, Ryan Broesler, Cian Maguire, Cameron White, Declan Meagher, Nicholas Paulson Jenna Cunningham, Ailin Doody, Cassidy Luebbers, Simone Loysen, Gianna Cheeseman, Anna Segar, Bridget Devereaux, Miya Stefanick, Meghan Farrell . For many, mid-March is the only time of year when they may possibly be exposed to Irish dancing. The step dancers who join their local parades -- and Philly's, the second oldest in the country, too -- come out in their bouncy wigs and their bright dresses, moving their feet methodically down the road. But for Irish dancers across the country and around the world, the pastime isn't just for St. Patrick's Day. In fact, at this very moment, the top dancers in the field are perfecting their routines and packing their suitcases for the World Irish Dancing Championships in Glasgow, Scotland. During a week of intense competition starting March 20, hundreds of dancers of all ages will join the fray in hopes of taking home that coveted world title. And more than 40 members of the Broesler School of Irish Dance, a company that hosts classes from Baltimore, Maryland, to Fishkill, New York, will be there. Teaching students from Pennsylvania, New Jersey, Connecticut and Delaware, too, Kevin Broesler has got his hands full leading up to game day. The thing is, he never really wanted to be an Irish dance teacher. Raised by parents immersed in Irish culture with a mother and siblings who danced, Broesler wanted to lace up his dancing shoes from a young age. He later went on to become a national and world championship dancer, but he kind of just fell into teaching. Which, of course, might seem strange to some, considering that to become a certified Irish dance teacher (which allows your students to compete in standardized competitions) you have to take a pretty rigorous exam. "To be honest with you, a friend of mine was taking the exam. She had to take it because her teacher had passed away and he asked her to take over the school," Broesler told PhillyVoice just a week before Worlds. "So she had to take it and I thought ok, I’ll take the exam with you." Now he often spends his time jetting between lower New York state, Haddonfield, Newark and the rest of his school's locations. Of course, he's got many more teachers, some whom he taught years ago, tending to the school's many students, too. But his traveling time actually harkens back to the history of Irish dance. "I love competition. I love that portion of it," Kevin Broesler said. "But we are more than just that." "Years ago in Ireland, that’s what the teachers used to do," Broesler said. "They were called the dance masters and they would travel around Ireland and teach the steps they knew and each town would feed them and take care of them and all that stuff. Then they would move on to another town." Either way, his methods are working. Forty soloists will dance under the Broesler School at Worlds, along with three teams of students dancing in groups (some of which will also perform solos). 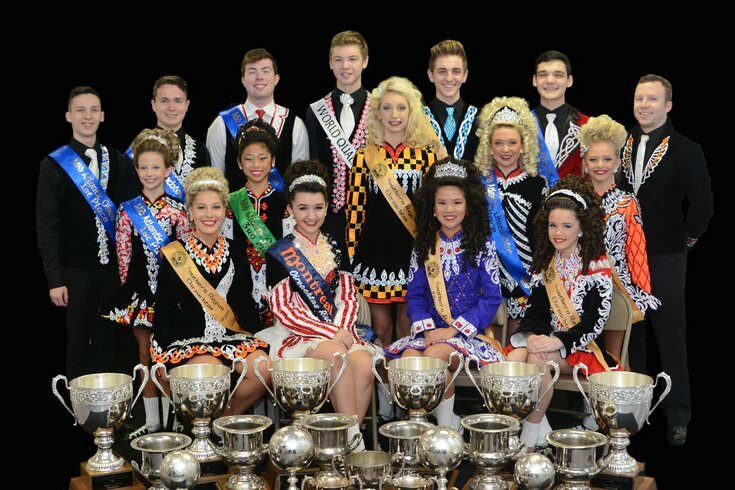 All of them had to qualify for the competition at regional competitions (called oireachtas) held down the East Coast. Many, including Downingtown, Pennsylvania's Owen, Ian and Cassidy Luebbers, and Broesler's own son Ryan, won their respective categories. Others have placed at Worlds before or otherwise been decorated at the North American Nationals or the All-Ireland Championships. 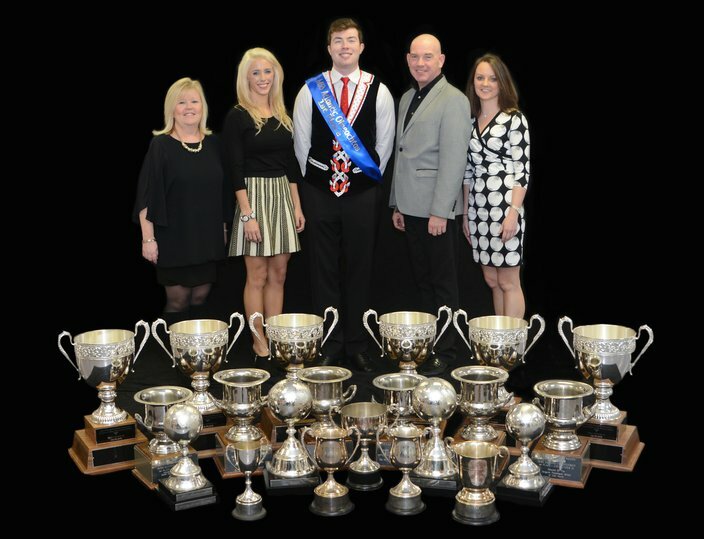 Teachers Eileen Paulson, Jackie Sabo, Kevin Broesler and Caitrin O'Meara pose with Owen Luebbers, center (2nd World Championships, 1st North American Nationals, 2nd All Ireland championships, 1st Mid Atlantic Region Oireachtas). But he'll be the first to tell you, it doesn't always work out that way. Irish dance competitions are an "any given Sunday" type of deal. Some years no one medals or places like they thought they would; other years, a team of 30 comes back with 15 medals. "The world competitions are just hard. They are really, really hard. You’re talking about the best dancers from around the world. And there’s so much talent. The dancers are so talented. The teachers are talented ... and they’re getting better and better each year. It’s like the Olympics," he said. Like any athlete competing on an international level, these Irish dancers are training every single day of the week, dancing in-studio with teachers, practicing at home for hours and cross-training to stay in shape. "You have to be fit to be doing this at this level, so fitness is huge," Broesler said. "If you’re trying to do this bigger or turn that out more, cross your legs over more – whatever you’re trying to get them to do, you can’t do any of that if you’re not fit." But that's not to say Irish dance is all nose-to-the-grindstone, or that it's even all about competition. Though Broesler knows his team has talent and believes in their chances at placing and medaling where they'd like this year -- "but we don't want to jinx ourselves!" he said -- he strives to maintain a well-rounded student body. His students perform in "dance outs," shows at places like assisted living homes and (of course) parades, and participate in other activities. "I love competition. I love that portion of it," he said. "But we are more than just that." As one would imagine, a highly competitive team that puts in all those hours together starts to feel like one big family. And in some respects, despite Broesler School's geographical spread, it is. For instance, Eileen Paulson, who teaches in Delaware, has two children, Kathleen and Nicholas, who are also accomplished dancers taught by Broesler: Nicholas just finished a Broadway stint on "Lord of the Dance." Families like the Luebbers stick together at the school, and Broesler's own clan -- Ryan, Breanna, Neeve and Brendan -- all qualified for Worlds this year. No matter how tough the competition, they really are facing it together as a team. "It’s a big family, it’s a big community," he said. "I just feel that it’s a wonderful experience, to have that."